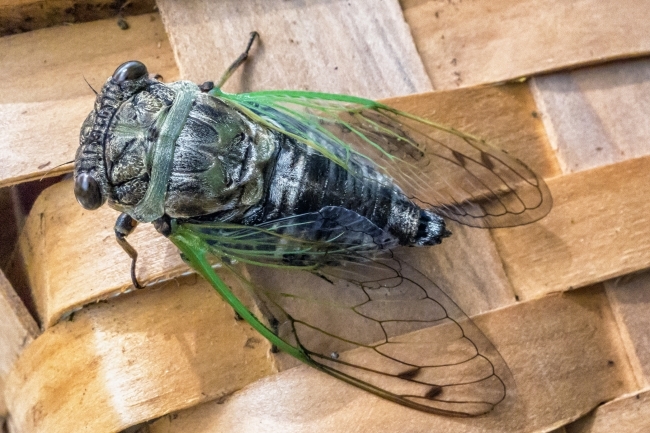 Home / Wildlife & Animals / Large bug: Cicada? My wife was gardening when she suddenly called me over. She has a small basket for her gardening implements and clinging to the side of it was a large insect – easily 1 1/2 inches long. 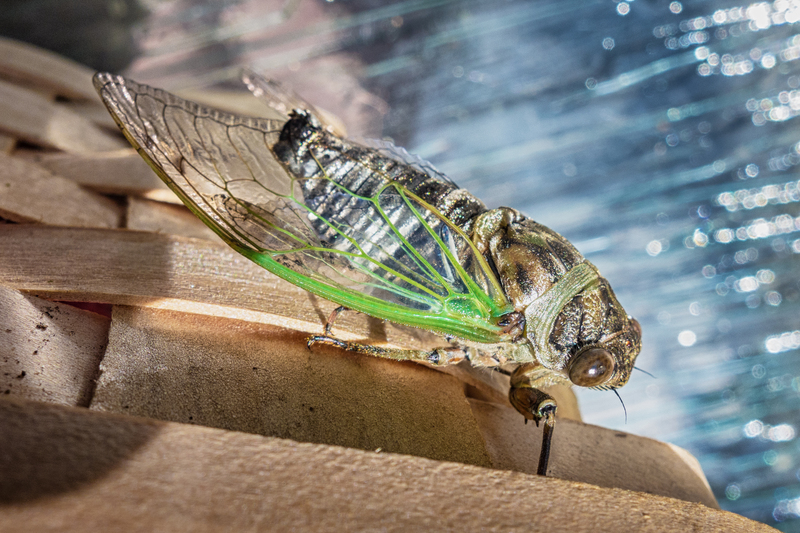 I’m not very knowledgeable about insects but it seems to me that this is some kind of cicada. 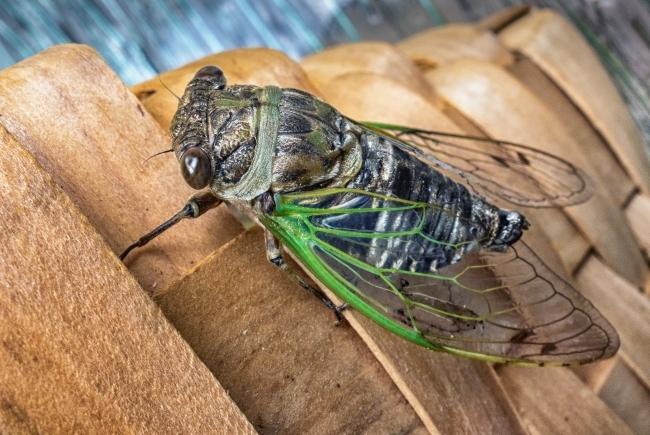 There is a species of cicada that comes out every 17 years – in their millions. They were supposed to appear in New York State in 2013 but apparently didn’t. Maybe they’ll come out in 2014 instead. If so we can look forward to a very large number of extremely noisy cicadas shortly. Fortunately they don’t bite or sting and don’t damage plants (although I believe their grubs can). It’s a strange mixture of the ugly and the beautiful. It has a thick, stubby body that isn’t very appealing, but the diaphanous wings with the bright green veins are quite spectacular. The wonder is that such fragile looking wings can carry the large body. I’d like to see one flying.